Some members of the UPRONA party executive committee addressed a correspondence this January 6 to the president of the party asking him to stand down. They accuse him of mismanaging the party resources and violating of internal regulations. Abel Gashatsi, the president of UPRONA party is accused, among other things, of selling a plot of land for one billion BIF without the approval of the authorized bodies. This land is located in Kamenge zone, Ntahangwa commune in the north of the capital Bujumbura. Those who signed also accuse him of misappropriating the revenues from the hall of this political party known as “Ku Mugumya”, as well as selling another plot of land located on UPRONA Boulevard, the former National Ballet. Those who signed the correspondence also accuse the current president of embezzling more than BIF 8 million monthly, as a rent from the place commonly known as “CFA”. They also say the current president refuses to hold meetings whereas the statutes of the party ask him to do so and gives his opinion about party’s affairs without consulting other executive bureau members. “He gives the point of view of the party on the country’s issues without the opinion of the executive office of the central committee of the party. And he does not put much effort in the effective reunification of the party,” reads the correspondence. Those members of the party’s executive committee call on Mr. Gashatsi to step down in order to avoid a crisis in the party. They ask him to convene a meeting within 15 days, as the internal regulations stipulate it and to take note of his resignation. Abel Gashatsi, the president of UPRONA party refutes the accusations. About the mismanagement of the party’s resources, he says he is not the only manager. “No bank withdrawal can be done without the approval of the vice president and the secretary general”. He adds that the latter are part of the party’s orientation committee which is the supreme body that gives the go-ahead before any decision concerning the general interest of the party is made. Mr. Gashatsi says the reasons behind those allegations are political on the eve of 2020 elections. “In the run-up to the 2020 elections, it seems no holds barred. It’s a political game,” he says. Most of those who signed the correspondence would like to be on top of the list in their constituencies of origin, whereas they do not even contribute any more, nor do they participate in the party’s activities, he adds. He says he won’t resign because of these speculations by a small group of people. “I am working for all Badasigana (party members) not for this small group of people”. 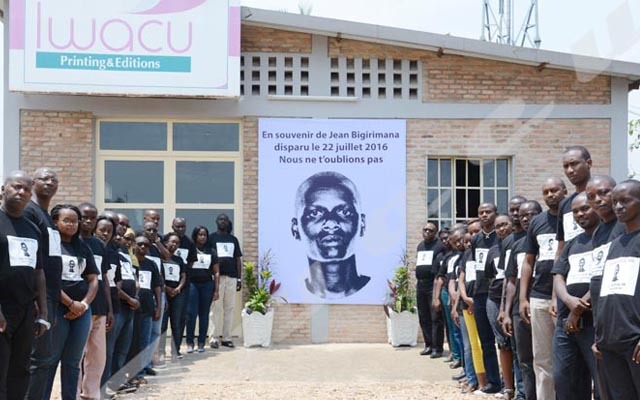 UPRONA party members who signed the correspondence include Concilie Nibigira, former president of the party, Anicet Niyongabo, first vice-president of the Senate, Mr. Dieudonné Giteruzi, former Minister of Communal Development, and MP Gloriose Nimenya.